Do I need Plans in order to install the fence? It’s always best to check with the bylaws within in your Municipal area. Whilst the product does not need maintenance, it might need to be hosed down after the lawn has been cut or to remove dust/ sand after strong winds. One can also use regular Sunlight Liquid & a soft cloth, in the event of stubborn grit. 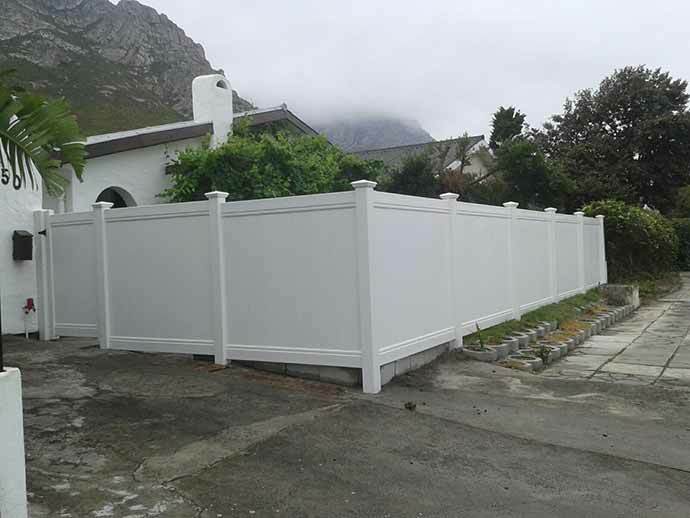 Can you attach Electric Fencing to the PVC Fence? Absolutely! 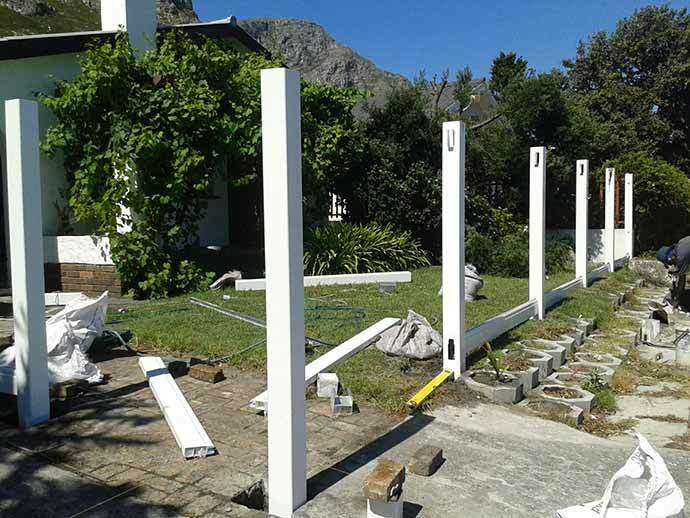 We will make provision for aluminium extrusions to be placed within the posts, where the Electric Fencing Brackets can be attached. 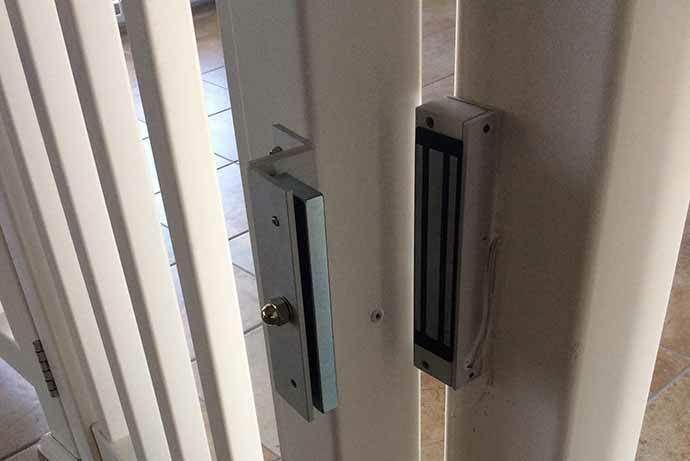 Can I install an automatic gate release on a pedestrian gate? Yes. It’s important to specify this prior to the gate being manufactured. Can I motorize the gate? Yes. One can motorize all our driveway sliding and swing gates. We generally install the gate with a track but we do not supply the gate motor. 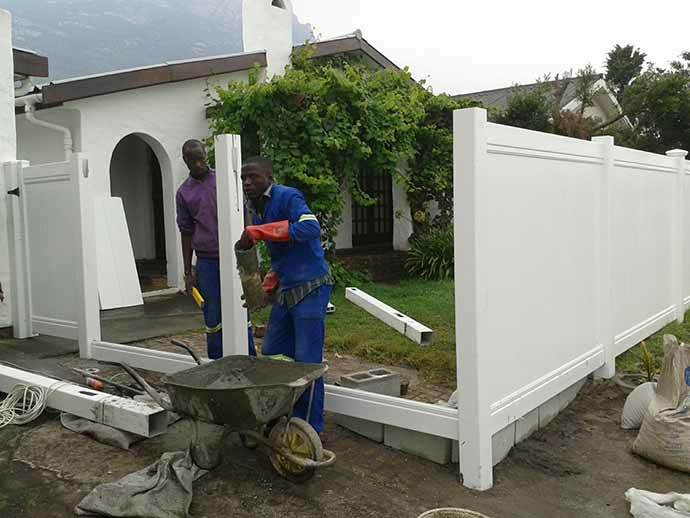 It’s important that the gate motor & accessories are supplied and installed by a reputable installer and that a registered electrician carries out the electrical connection thereof, in order to obtain your Electrical Compliance Certificate. Will an Edge Trimmer damage the fence? No if the Edge Trimmer is used correctly. What is the waiting period for installations? Our current turn- around time is from 2-3 weeks. This is from date of signed confirmation and receipt of your 50% deposit. This may vary in the summer months specifically November – February when we are busier. Will the product stand up to strong winds? Yes. 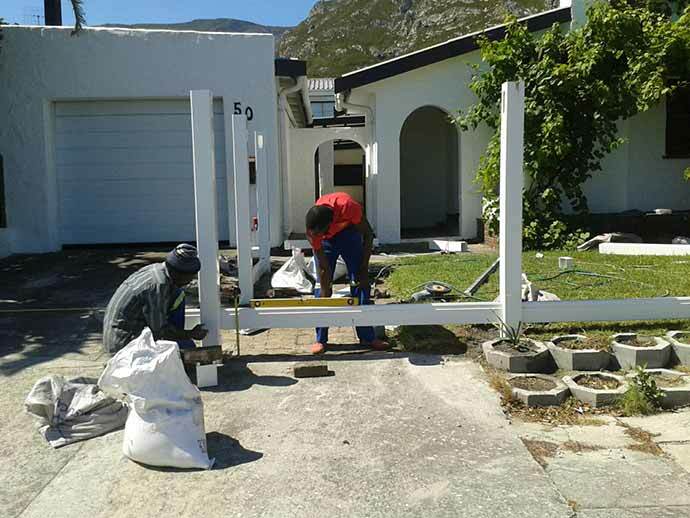 We have carried out a number of installations in Gordon’s Bay where the winds are notorious, without any trouble what so ever. All our posts are concreted into the ground as part of every installation. Nothing is infallible, so yes it will break under extreme force like a vehicle smashing into the fence. We are able to repair in this instance and obviously will have to inspect the damage to determine the most cost effective way to do so. Can the product be painted? Yes it can, there are several paints on the market which one can use, however we do discourage it as it will affect your Guarantee. This is entirely dependent on the size of the installation. We dig holes and install posts on Day 1, which we like to let set for 1/2days, we then return to site to assemble the fence and this can take anything from 1-3 days (once again depending on size of installation and weather constraints).